Hans Holbein was born in Augsburg, Germany, trained in Basel, Switzerland and spent a total of thirteen years in England, in 1526-8 and 1532-43. 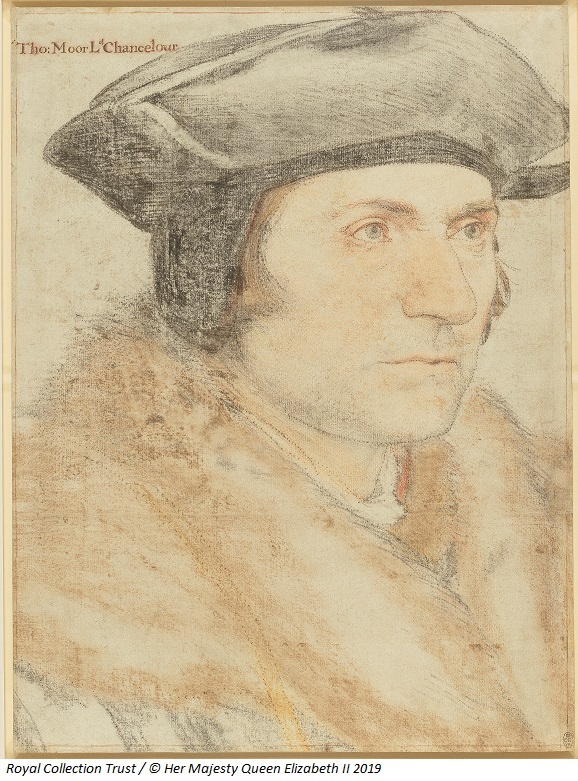 The major work of Holbein’s first period in England was a portrait of the family of Sir Thomas More and during the latter period he became the most important artist at the court of Henry VIII. A small display focusing on preparatory studies and final artworks from the Ferens Art Gallery’s permanent collection will be highlighted alongside Holbein’s masterpiece. Holbein’s Sir Thomas More portrait marks the third of five exceptional works of art from the Royal Collection to go on display at the Ferens Art Gallery between 2017 and 2021, as part of Masterpieces in Focus from the Royal Collection.